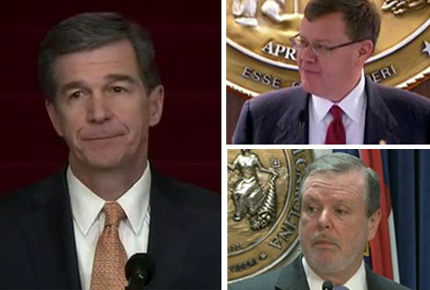 GOP lawmakers proved again Wednesday that when it comes to Gov. Roy Cooper, they aren’t afraid to flex their political muscle. Democratic lawmakers proved they have had enough. The Senate Select Committee on Judicial Reform and Redistricting met Wednesday for the last time this year to hear from the Governor’s Office and a representative from Elon University School of Law about judicial selection. They were also set to discuss the House’s judicial redistricting plan, according to the public agenda. After starting almost an hour late, the Committee immediately denied Cooper’s designee, retired Judge Don Stephens, a change to speak because he didn’t work for the Executive branch of government, prompting Democratic senators to walk out in protest. After hearing from Elon’s Scott Gaylord, GOP senators ended the meeting by introducing their own judicial redistricting maps, which, like the House’s maps, were drawn in secret and not released to the public or Democrats until the last minute. Cooper appointed Stephens, who has more than 30 years experience on the bench, to “discuss matters both from the perspective of the Governor and from the trial bench,” according to a letter the Governor’s Office sent lawmakers before the meeting. Stephens said he was not surprised the committee did not let him speak. He passed along the comments he would have made had he been allowed to speak. Stephens would have questioned whether the motivation behind lawmakers’ efforts to reform the judiciary had anything to do with some judges have disagreed in their decisions with the legislature. “The fact that we are having this conversation impugns the integrity of every sitting judge in North Carolina, be they Republican or Democrat, because it suggests that there is something lacking in the quality of their work without any evidence to support that accusation or that unfounded assumption,” he would have said. Senate President Pro Tem Phil Berger criticized Democrats after the meeting on Twitter and called their protest a political stunt. 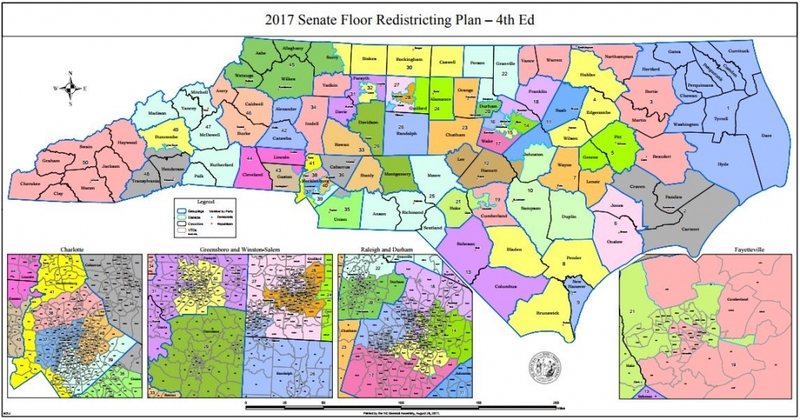 Sen. Dan Bishop (R-Mecklenburg), who is a co-chair of the Committee, introduced the new maps at the meeting, noting that they would correct constitutional issues in the House maps. He said in drawing the new maps that they did not consider racial data and did not try to maximize partisan gain. Districts were redrawn in the following counties: Buncombe, Cumberland, Durham, Guilford, Forsyth, Mecklenburg and Wake. 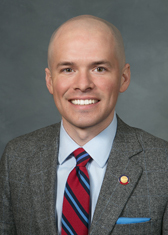 Rep. Justin Burr (R-Montgomery, Stanly) said after the meeting that he was aware of the new maps and that the Senate built on the maps he drew. Burr described the changes as minor. “There are a couple of differences in it, but it’s nothing that kind of blows the whole plan out of the water,” he said. Burr added that he’s very optimistic about the General Assembly’s opportunity to pass judicial redistricting. Members of the public can weigh in on the Senate committee’s judicial reform considerations here. The type of stunts this state house is pulling is one more reason so many will vote DEMOCRAT In 2018. You REPUBLICANS have taken that extra rope and figuratively hung yourselves. You are going to have to live with the results. You SHOULD HAVE listened to the Judge. All the absurdly bad control the GOP is currently amassing in the legislature will be in good hands after the 2018 Democratic takeover. The more of this they do, the more they guarantee that takeover.